Welcome to St Augustine's Class! We are a class of year 3 and year 4 pupils in the lower key stage two part of the school. Each term we base our learning around a cross curricular theme (See the links below for more details). 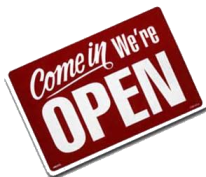 We have a superstarter day to begin our theme learning and a fantastic finisher day to end it (See the links below for photos showing how great these days are and how much we enjoy our learning). We have a daily maths lesson that is taught discretely to theme using our school scheme taught across all three schools in the MAST called ‘Maths – No problem’. We are taught PE and RE once a week and separately too. Literacy is taught discretely through weekly guided reading, comprehension, grammar, punctuation, spelling and handwriting sessions. We link all of our learning through our weekly theme writing and extended writing termly. French and Computing are taught every Thursday by specialist teachers within year group cohorts. Our French is very interactive including lots of singing. Computing is linked to our thematic approach. Our school priorities are reading, writing and challenge this year. We are working hard in reading to have engaging books and displays in each classroom, including a designated reading area. The children work hard within Guided Reading sessions, individual reading, comprehension lessons and reading buddy time. We love a challenge in Saint Augustine and they are available all the time. We have a maths challenge wallet in our class, full of challenges related to our learning. We can take them at any time – even to do at home! We have a curriculum challenge set every term. We have a Maths chocolate challenge every week – speak to your child to see what the question is each week! Winners are displayed on the maths board and receive a prize. We have a ‘Vocabulary Ninja’ each week, they are awarded this for amazing verbal or written vocabulary used during their work. 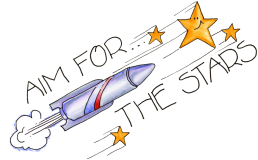 We also have children in our class who are part of the maths masters challenge club – speak to them to find out what they are up to! We have a traffic lights system in class where ‘green to go’ is rewarded and red, orange and yellow behaviours result in clearly defined and understood consequences. Individuals are rewarded for positive behaviour and effort in class by winning Dojo points. Each child has an avatar which represents them and they can monitor their scores each day on the board. Then, at the end of the week the two children with the most points get to choose an item out of the class prize box. Individual children are selected for our Whole School Praise Book and their names are read out on Fridays in assembly. This includes the ‘Green to Go’ award for the child in class who has shown increased effort, drive, determination or resilience. We also have a Maths star and a Literacy star each week. Apply yourself in learning, follow the golden rules, have a great week and it’s sure to be you! 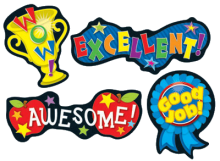 Our whole class rewards are negotiated with the class teacher at the start of term. We all put forward ideas of what we would like our reward to be then we vote for the most popular prize and work together as a class team to add points to our class chart. We all have different ones – ask your children about theirs. Children need to wear plain dark shorts, plain white T shirt and plimsolls or trainers. When it is cold outside children need to cover up with a pair of plain dark tracksuit bottoms or leggings and their school jumper. Children must ensure their hair is tied back if it can be. Children take any jewellery they are wearing off themselves, including earrings. Children cover newly pierced earrings up with tape that their parents must provide them with. Only a small pair of stud earrings are allowed in school, no hoops please. Homework is given on a Friday and due back on the following Friday. If homework is not completed children will do the homework during their lunchtime the following Monday at homework club. If your children struggle please encourage them to come and speak to their class teacher for support before the homework is due in. Daily homework is reading, practise times tables and spellings set that week. Weekly homework on a Friday is one piece of Literacy and one piece of Maths – both to last approximately 20 - 30 minutes. Watch out for the challenge boxes – make sure you give them a go! Holiday homework is set every half term break. Children have the whole week / two weeks to complete this and the sheet is full of activities that the children can choose from. See below for our latest one. We have an informal open door policy in lower key stage two. If you wish to speak to us just catch us on the playground at the end of the school day after we have safely seen all of the children in the class out. If after school is not convenient to you, phone the school office and request a call back to arrange a more mutually convenient time. - Reading- it is the key to everything. If we can get our children engaged and loving reading then they will achieve great things. When children read they are unknowingly taking in new vocabulary, spellings, sentence and text structures - and hopefully enjoying it too. - Times tables practice – this takes a long time and needs regular revision. We supplied the children with a sheet at the start of term displaying their tables and we don’t want these back. Stick them up somewhere at home, in the car or on the toilet door and encourage your child to recite them regularly. As and when, you can pop quick-fire questions at them – make it a game, get them to test you (and it’s even better if you find it hard!). If you have a few spare hours a week and would like to volunteer to help out in class, take a reading group, be around at lunchtimes or even at the allotment, just let your child’s teacher know and they will get Miss Strachan to contact you. We are always glad of an extra pair of hands!!! If you would like to come into school for a one off session to see how and what your child is learning and experience life as part of the class again, speak to the teacher or Miss Strachan – the more visitors we have in school the merrier.